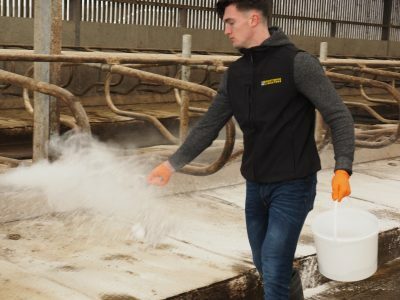 Bennettsbridge Limestone Cubicle Lime is designed specifically for dairy livestock bedding applications and is one of the most absorbent cubicle limes on the market. 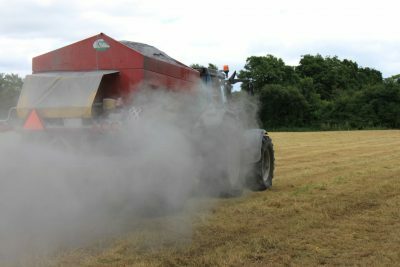 Bennettsbridge Limestone Cubicle Lime is designed for dairy livestock bedding applications. Our high surface area limestone powder is specifically formulated making it one of the most absorbent cubicle limes on the market. Regular use will keep your cows cleaner and drier and help prevent mastitis. Bennettsbridge Limestone Cubicle Lime is designed for dairy livestock bedding applications. 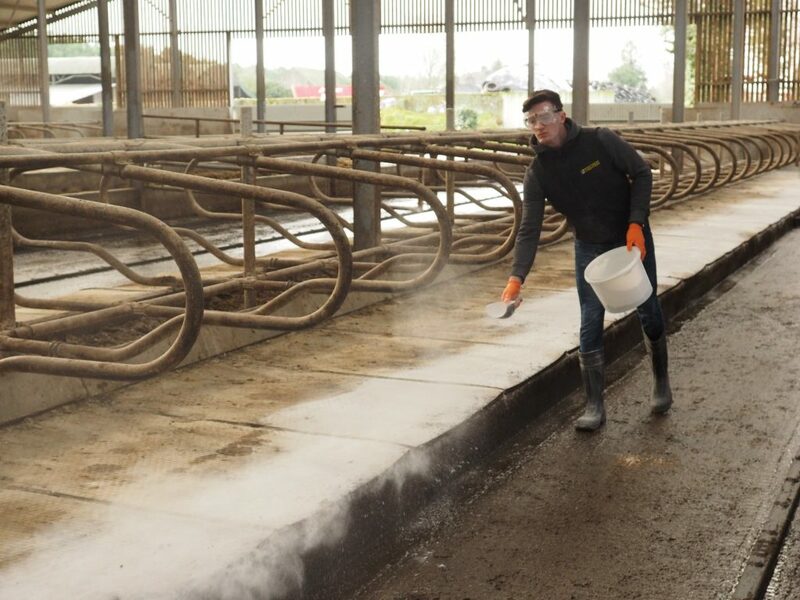 Our high surface area limestone powder is specifically formulated making it one of the most absorbent cubicle limes on the market. Bennettsbridge Limestone Hydrated Cubicle Lime is a unique product that we have formulated using a blend of high calcium limestone and hydrated lime, for the ultimate cow comfort due to the high absorption rates.